Reminder: All golf carts must display lot number on each side. Getting a fresh new look on our buildings! 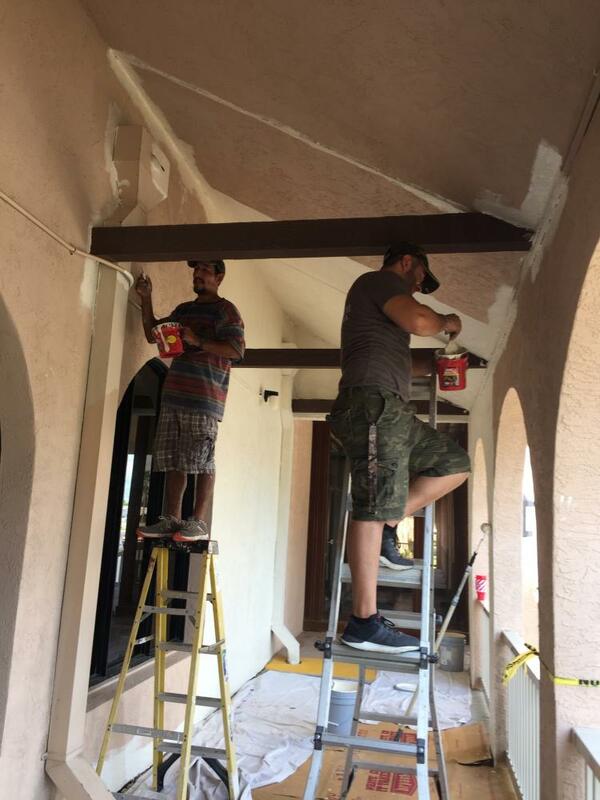 The Welcome Center has new paint and our new team members are painting the Recreational Hall! Beautification in progress! 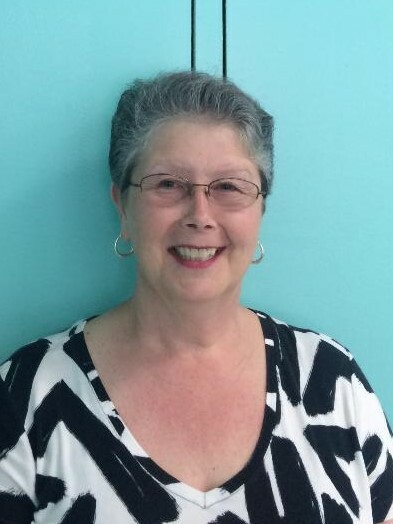 Please welcome Karen Pike, hired as LIV's General Manager. She has a deep commitment to customer satisfaction and is a quality driven leader with proven success in property management. She wants owners to know she has an “open door” policy and is looking forward to meeting LIV residents. Prepare for a hurricane before leaving! LIV's Safety Committee reminds owners to prepare property and secure outdoor items before leaving for the season. Hurricane Harvey barely missed LIV, demonstrating the unpredictable nature of tropical storms. Many owners remember to install hurricane shutters, but many forget to secure patio table and chairs, BBQ grills, golf carts and other outdoor items. Securing everything will help keep people safe, lower property damage risks, and help keep debris out of the canals. If you have any questions, please call the Welcome Center. Hospital for Children. Many thanks to all the volunteers, sponsors, staff and patrons supporting this Long Island Village annual event. Several pets have recently been poisoned by eating Rat Poison Blocks left in yards. PLEASE: Rat Poison should never be placed in a yard without putting it in a bait box first. Pets think it’s a treat! PLEASE: When walking your dogs (cats) keep them on a short leash……they are attracted to the smell of Rat Bait. It can make them violently ill and possibly kill them! Four LIV Board members were elected during the Annual Meeting; Oscar Garcia, John Nold, Ed McBride, and Armando Zamora. 433 owners registered. Thanks to all the volunteers and thanks to members for voting and attending the annual meeting. The new mailboxes are installed in the Activity Center. The package lockers installation is in progress. 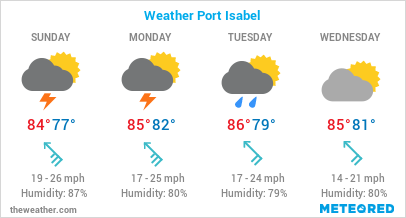 Coordination with Port Isabel's US Post Master is ongoing to transition to new LIV mailbox numbers. The NEW mailbox numbers will NOT be active until May 1, 2018. Do not change your address until the transition is announced. The electronic gate system is in full operation. Read more for operation tips. 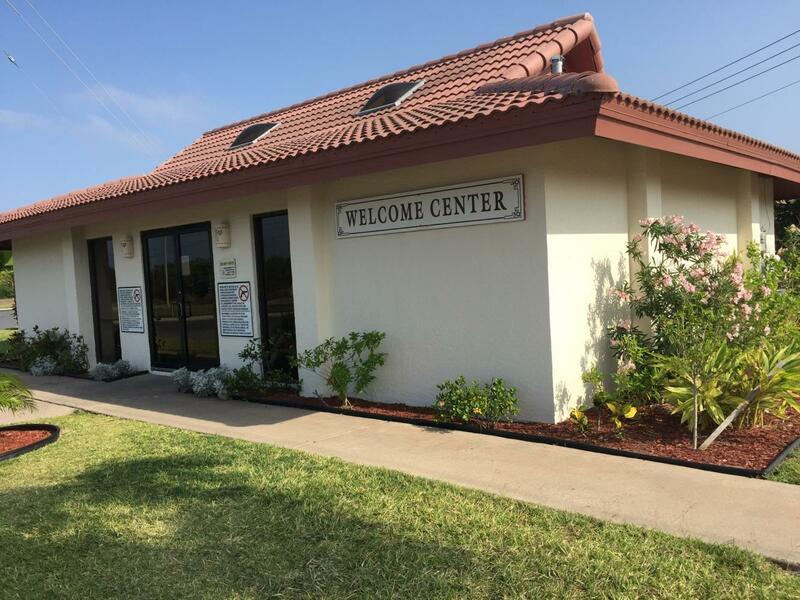 Owners that have signed-up for palm tree trimming will be notified by the Welcome Center for pricing, payment method and scheduling for this service. Owners may sign up to hire our lawn contractor to trim palm trees. A sign-up sheet is available in the Welcome Center. WHY THE $30 RAISE TO MONTHLY CONDO FEES? Read More for a thorough explanation of the purpose and goals of the 2018 Condo Fee Increase. 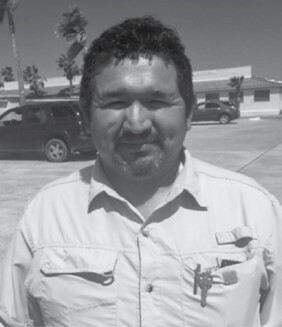 Pedro “Pete” Gonzalez has recently been hired by our Board of Directors as Facilities Manager. Pete directly supervises almost all the park’s employees, including those working in maintenance, housekeeping, the restaurant, grounds, and the golf course. Please welcome Pete to our LIV management staff.